Multisport Mastery offers performance-focused coaching to assist you in achieving your multisport goals. Whether you want to finish your first triathlon or become the next world champion, we work with all levels of athletes looking to bring out the best in themselves through organized, purposeful & challenging workouts. Our coaching includes an individualized training plan, data analysis through Training Peaks, ongoing feedback through e-mail/phone contact & unlimited communication. Liz Waterstraat is the founder of Multisport Mastery, Inc. & a certified USA Triathlon Level II & Endurance Coach, Training Peaks Certified Coach, Jack Daniels Distance Running Certified, Slowtwitch Cycling Power Coach, Lydiard Foundation Level II Coach, USMS/ASCA Level 3 Swim Coach, RRCA Running Coach & USMS Adult Learn to Swim Coach with nearly 20 years of competitive and coaching multisport experience. 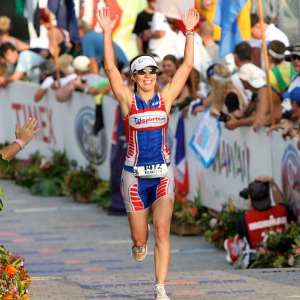 An accomplished athlete with consistent top performances, Liz has personally achieved 28 overall wins, 30 age group wins, over 30 top-3 overall finishes, over 50 top-3 age group finishes and over 25 world championship qualifications. Since the inception of Multisport Mastery in 2007, Coach Liz has worked with hundreds of athletes, beginner to advanced, all ages, from all around the world. With a detailed approach aiming to develop both body and mind, Liz has developed athletes from amateur to elite, beginner to world champion. Liz provides each athlete with a customized training plan supplemented with the support, education & motivation to bring out each athlete’s very best. As a full-time business owner, well-accomplished multisport athlete and parent of three children, Liz understands the unique challenges of those balancing their athletic goals with real life demands. Whether you’re looking to finish your first Ironman or stand atop the world championship podium, the coaches of Multisport Mastery have the knowledge, experience and passion to help you reach your goals. Training Peaks Premium Account along with the passion, commitment & motivation to pursue your multisport goals. Success. Coach Elizabeth Waterstraat has been notified of your message. To hire Elizabeth Waterstraat as your coach, select the coaching service that is right for you.